The tasting room decorated for the holidays. 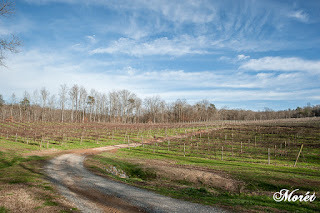 Amongst the famed apple orchards of Ellijay in Gilmer County, Georgia, lies the county’s first vineyard, Cartecay Vineyards. 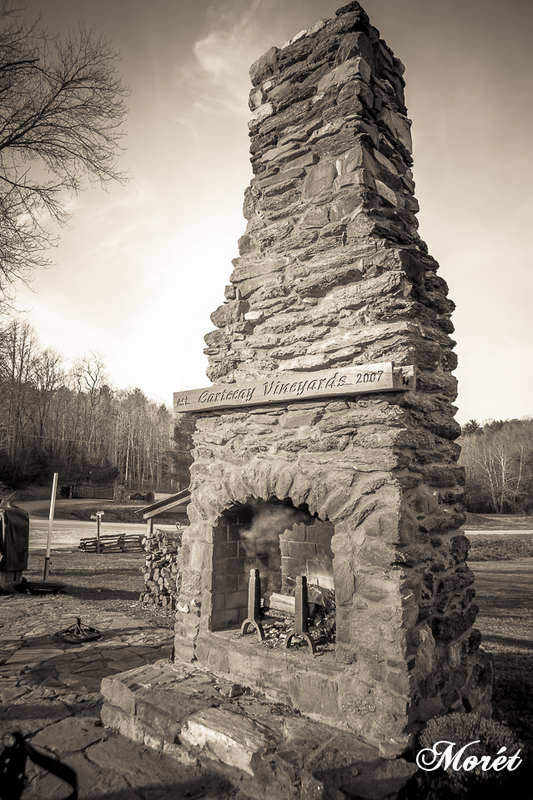 Named for the region of the county in which the vineyard is situated, Cartecay, is Cherokee for Bread Valley. 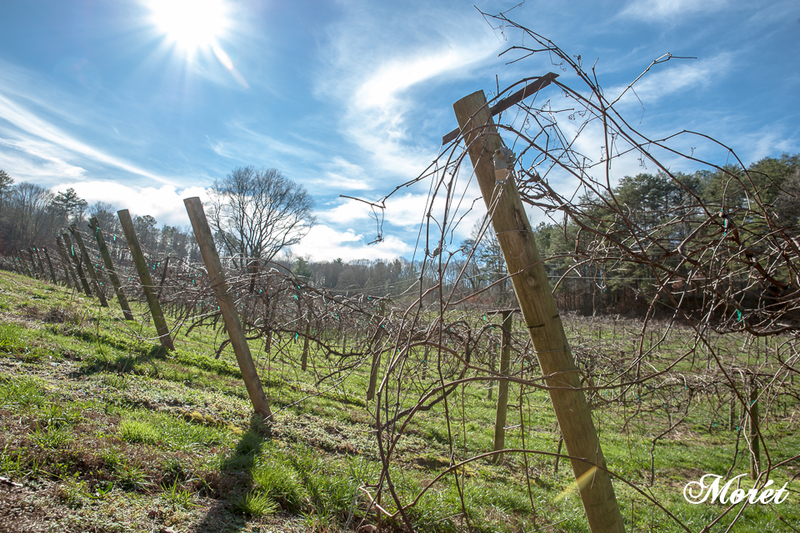 The vineyard was originally a working farm, dating back to circa 1890. The original farm grew corn and hay, grazed cattle and raised hogs and mules. When Cartecay Vineyards acquired the farm, it had been inactive for quite some time. 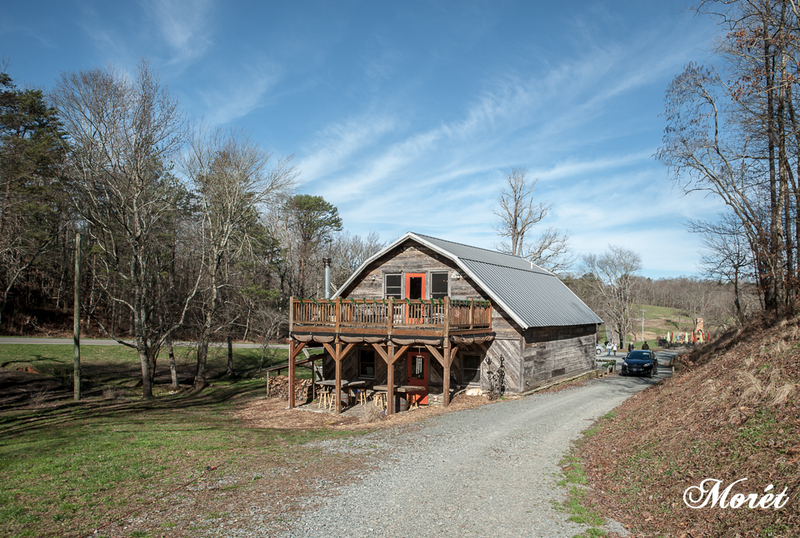 The farm now exists as a vineyard and created by combining the original farm layout with the specific needs of growing grapes. 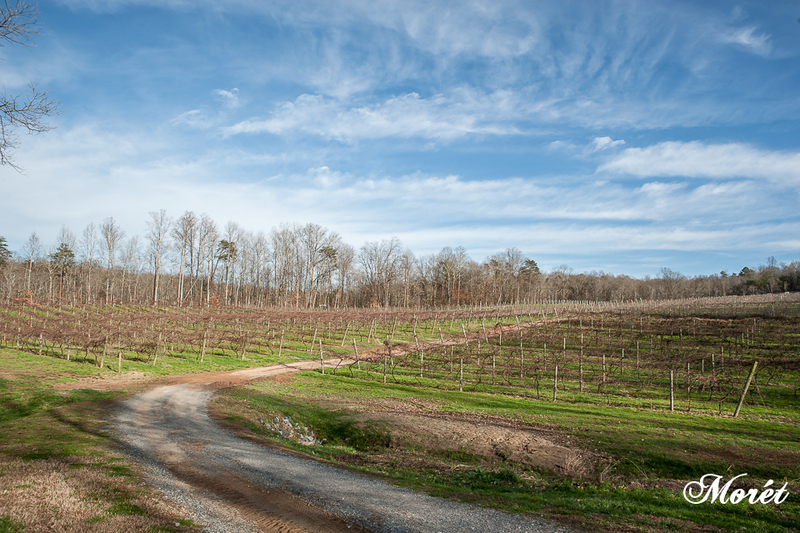 The Southern Appalachians in North Georgia are ideal for growing wine grapes. The elevation, the soil and the climate combine to produce quality wine grapes and subsequently, fine wines. The terroir of Cartecay allows the vines to grow, age and produce grapes of the highest quality, which in turn produces wine of the highest quality. Cartecay Vineyards was planted in the Spring of 2008 with two varieties, Vidal Blanc and Merlot. 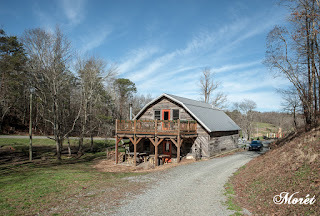 Since 2008 four more varieties have been planted; Traminette - my personal favorite - Norton (Cynthiana), Catawba and Cabernet Sauvignon, with more planned. 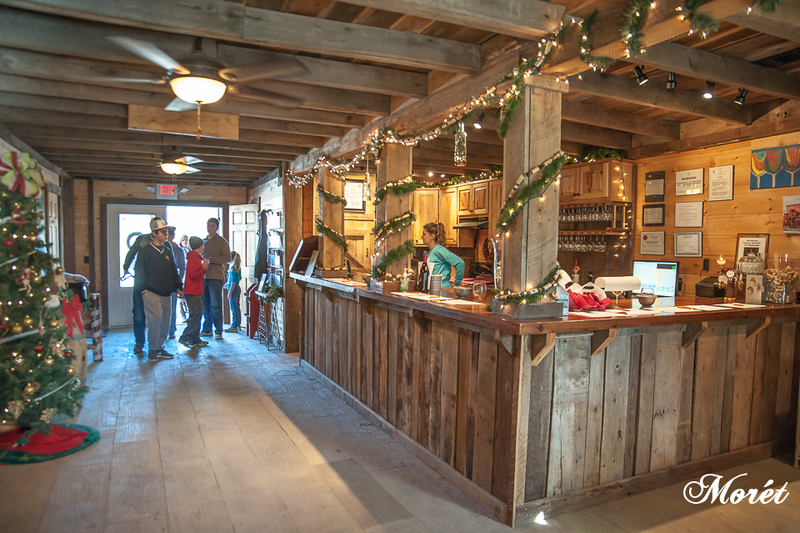 A view of the tasting barn's patio and deck. 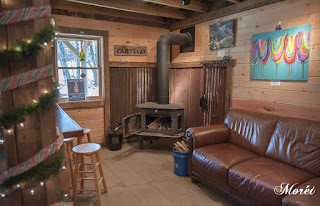 The wood-burning stove makes this corner quite cozy. A view from the entrance patio.